I love manuscripts which surprise me, or remind me of things I had forgotten, or best of all, open up new panoramas to me. The manuscript which forms the basis of my most recent work The Grimoire of Arthur Gauntlet, managed to do all three of these. One of the little engaging surprises was the use of rhyming couplets in some of the charms. And be obedient to my will. 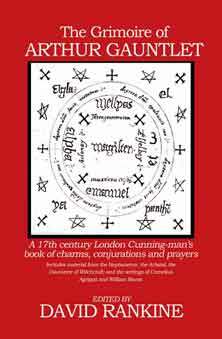 The popularity of such techniques has endured, as indeed has the magic practised by cunning-folk, or its derivatives. There is still so much to learn from our past!